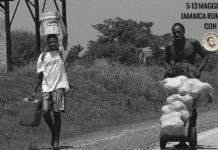 La vecchia colonia francese nel Mar dei Caraibi che tra le prime rivendicò l’indipendenza dal dominio europeo ospiterà il suo primo Rhum Festival. J’Organise’s Staff informs the general public, amateurs and connoisseurs of rum in particular that the first Haitian Rum Festival will be held in Port-au-Prince from 14 to 17 November 2014. 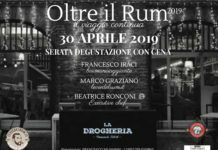 Over fifty rums exhibitors and thousands of visitors are expected at this tasting room that wants an exhibition platform of the best brands of rum in the world. With a mini craft fair, this unique event in Haiti will meet for three (3) days, amateurs and connoisseurs of rum and cocktails as well as chefs for cooking demonstrations. The festival is organized in partnership with the NH Haiti El Rancho which is the host hotel and Saint James Rum from Martinique who will be our honored guest .It will host also a prestigious panel of judges composed of festivals initiators worldwide and experts in rum and spirits. Alexandre VINGTIER, Editor of RUMPORTER will deliver a conference on the different types of rum; training sessions will be led by two experts in the art of mixology and rum tasting: Benoit BAIL and Jerome VALLANET, who willingly pass on their knowledge to professionals in the bar and restaurant as well as fans and collectors of rum, Master classes will also be available. A welcome cocktail will be offered to participants on November 14 while the 15 and 16 of November will be devoted to the exhibition and tasting. The festival will be closed on November 17, 2014 by an amazing show. Various awards including Gold, Silver and Bronze medals will be awarded at this event which will include, in addition to artistic performances, a fashion show. 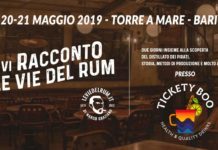 At six months of the event, preparations are underway for holding the Festival’s date which has been already launched by RUMPORTER, the first Rum’s culture magazine. The J’Organise’s team will be pleased to allow Haiti to max out and welcome at the end of this year an event of international standard. A presto con ulteriori news lungo #leviedelrum..